You have probably had numerous calls from unknown call centres regarding solar panels, even offering them free of charge. In summary Solar is still an extremely lucrative market and can make you significantly more than a bank account – however there are several considerations you need to have before jumping into a purchase. The first aspect is using a company which you trust, has obtained the necessary accreditations and has met all the relevant regulatory standards. We spent a long time setting up our solar division to ensure we were going to be around much longer than the government incentive – this give you piece of mind that if there are any problems, you will have a reliable point of call! I’ve been offered free panels – surely this is a good investment? This depends on your circumstances, but in our experience for most people this is actually a really bad idea. Although a company will put ‘free’ panels on your roof, they will be reaping the FIT* benefits. The biggest drawback is that they will then own your roof for the next 20 odd years. This could become a problem if you want to sell or move house, or even just want to do some repairs on your roof. 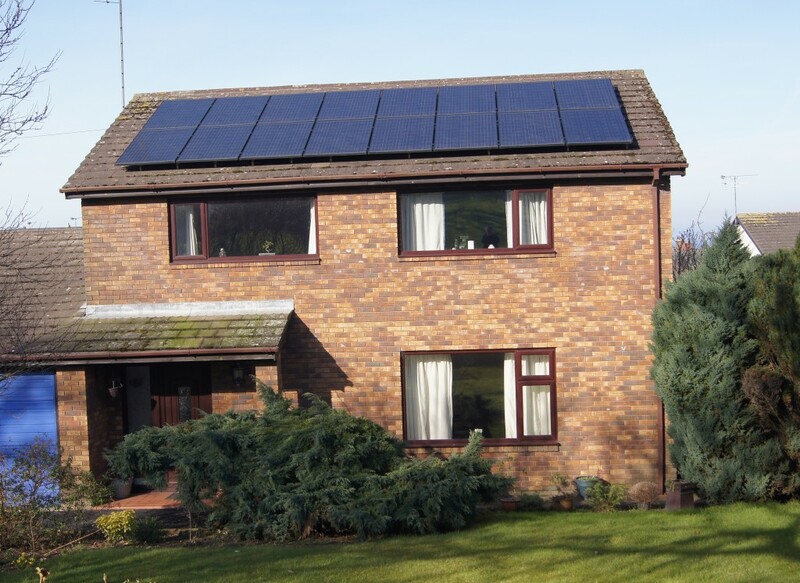 The aesthetics of solar panels is like marmite – love it or hate it. To try to get some more converts to the love category we not only use some of the most efficient and well build panels but also modern black panels with black solar cells. The fittings we use are also black to match in with the installation. We feel that this has a far superior look to the blue cells with an unsightly silver boarder. How much will an installation cost me? This is dependent on the size of your roof, how many panels we can get onto the roof and the site itself. We assess every job individually and don’t have a blanket one price fits all. This ensures that our price is the right price! *The FIT is the government incentive linked to solar production and means that the initial outlay on a solar system becomes a fantastic investment opportunity over time by receiving payments for all the electricity you produce, and an extra payment if you dont use it and send it back to the grid. Based in the Cumbria area covering the whole County including: Carlisle, Brampton, Penrith, Appleby, Kirkby Lonsdale, Brough, Kendal, Windermere, Ambleside, Grassmere, Keswick, Cockermouth, Bassenthwaite, Caldbeck, Workington, Maryport, Whitehaven, Wigton, Siloth, Cleator Moor, St Bees, Seascale, Egremont, Gosforth, Ravenglass, Millom.